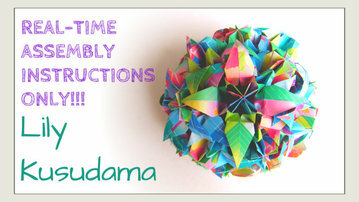 In this video, I will show you how to turn the traditional origami lily into a ball! It’s stunning, and easier than it looks! If you want to learn to make just ONE lily, refer to this tutorial. If the assembly instructions in this video is too fast, I have REAL-TIME, UNCUT assembly instructions, as well (below)!